1 USB cable and 1 adapter:No more wasting money on batteries.The clip light can be easily charged through USB device. 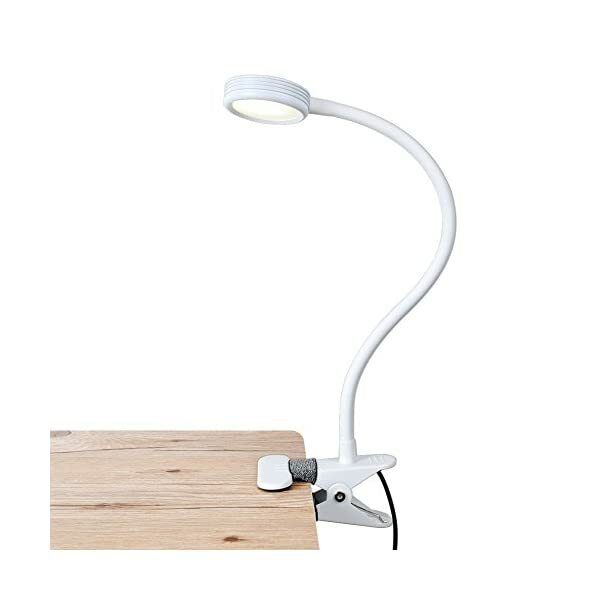 Multi-functional clip: With the antiskid and scratch resistant rubber mat Design,allows for easy attachment anywhere, even to a book or ipad.With a hanging hole, you could mount the lamp if have hooks or nails on the wall. 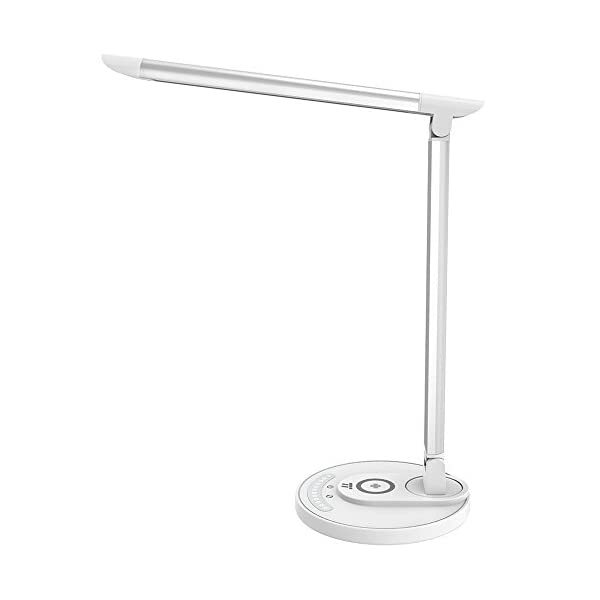 GORGEOUS MODERN LAMP THAT LOOKS GREAT WITH ANY DÉCOR: The Grace LED USB Table and Desk Lamp looks beautiful amid contemporary, mid century modern, or industrial décor. It has an extended open top and a neutral linen shade that hovers over a petite base (5 x 5 inches) of solid wood which is available in Havana Brown or Classic Black. 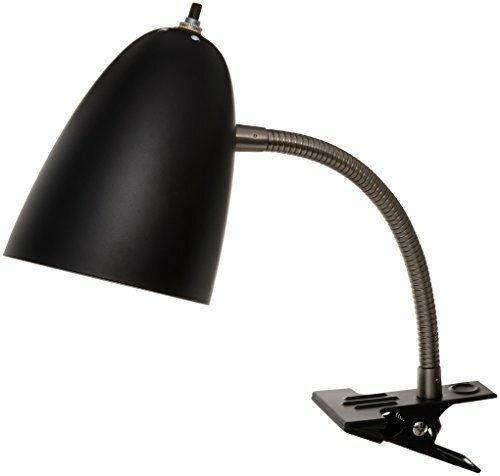 The unique modern style and size of this lamp makes it the perfect bedside table, office lamp, or living room side table lamp. 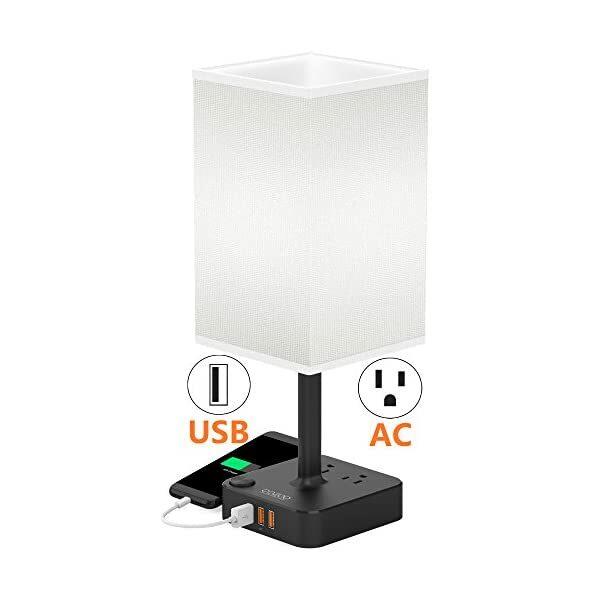 CONVENIENT DESK AND TABLE LAMP: The base of this decorative and unique desk and table lamp contains an easy access USB port so that you can charge your mobile phones, tablets, kindle readers, laptops, and other electronic devices. 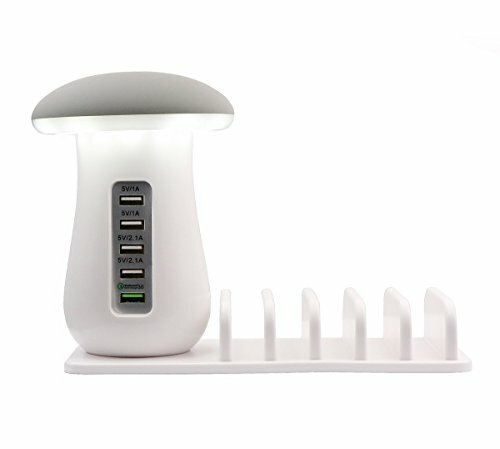 The USB port functions regardless of whether the lamp is on or off. Its stylish pull chain also makes it easy to turn the light on or off without having to get up and flip a switch. 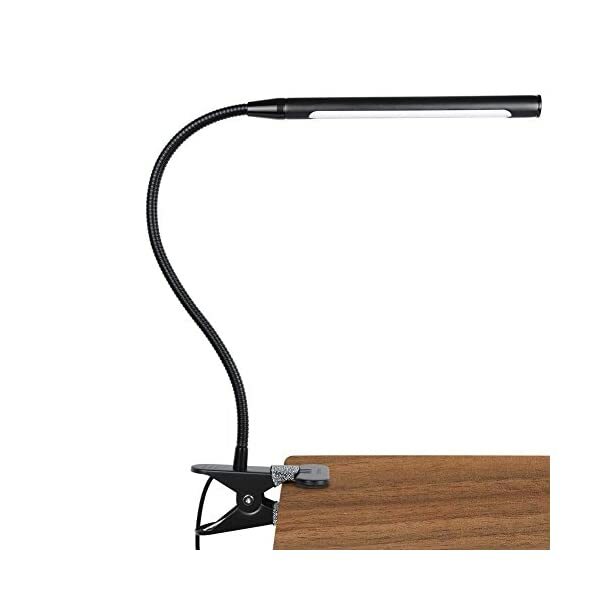 The convenience of this desk and table lamp makes it perfect for your home or office. 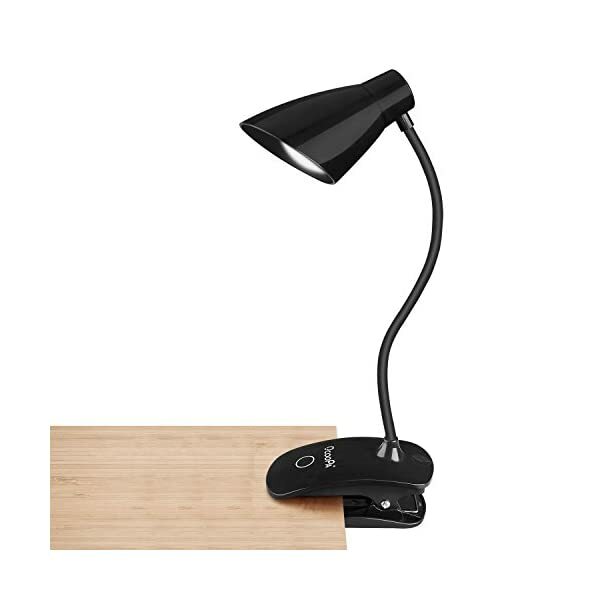 BEAUTIFUL WARM LIGHT FOR HOME OR OFFICE: The Grace LED Desk and Table Lamp gives off warm, beautiful light that will create a cozy and comfortable space for any room in your home or office. 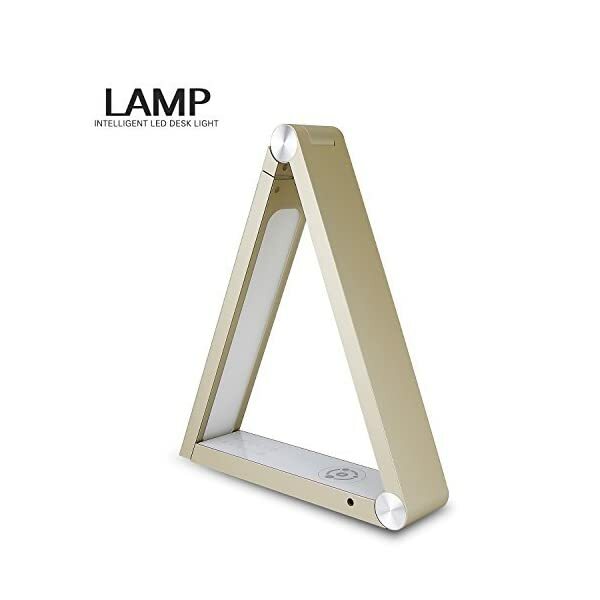 This lamp is the perfect side table lamp that gives off soft room lighting to enlighten your bedroom, living room, den, nursery, meditation room, or office. 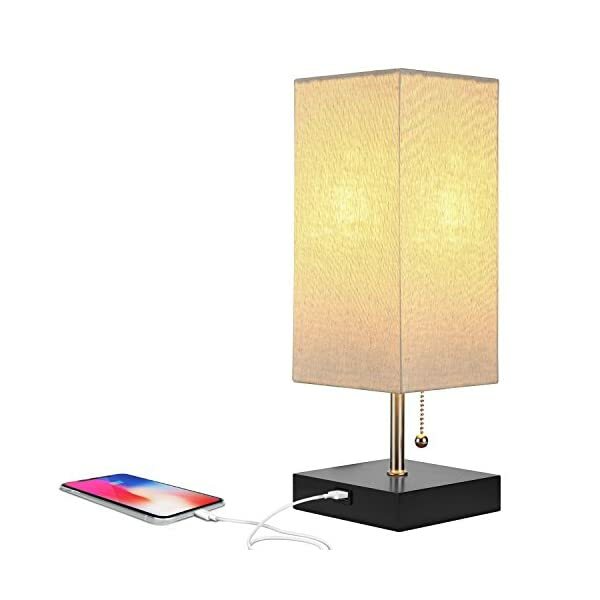 This lamp does not have the glare of overhead lights or exposed bulbs as its neutral linen shade softens the light giving your room a warm ambient glow. 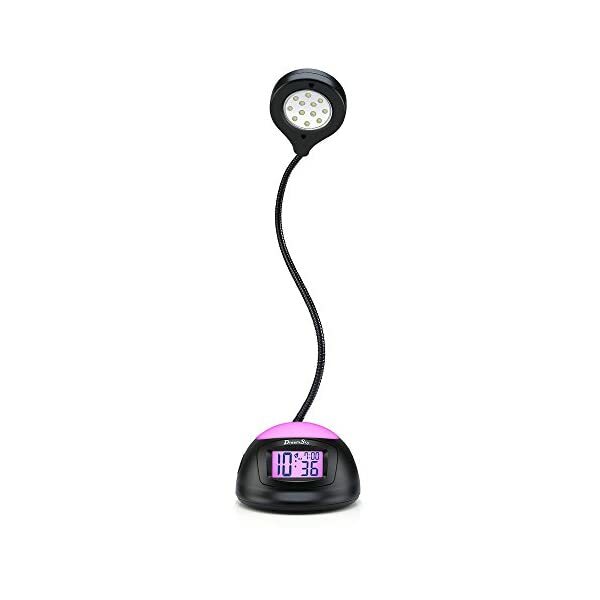 3-LEVEL BRIGHTNESS :3-level brightness,touch-Sensitive Control Panel,meet your needs in different light environments. 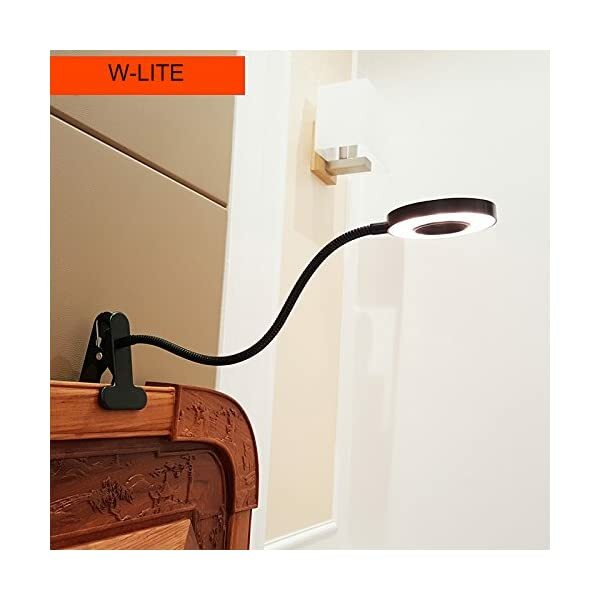 LED LIGHTING SOURCE :Reflective LED lighting source provides Natural, non-flickering light for stress-free productivity and enjoyment. MULTI-USE CLIP- Adjustable clip up to 2.5 inch ,Great for Music Stands, Pianos, Bedside, Reading, Work Tables, Mixing Tables, Computer Desks, Craft Tables and Much More.Extra Strong Clip Grips Almost Anything or Use it Free Standing. 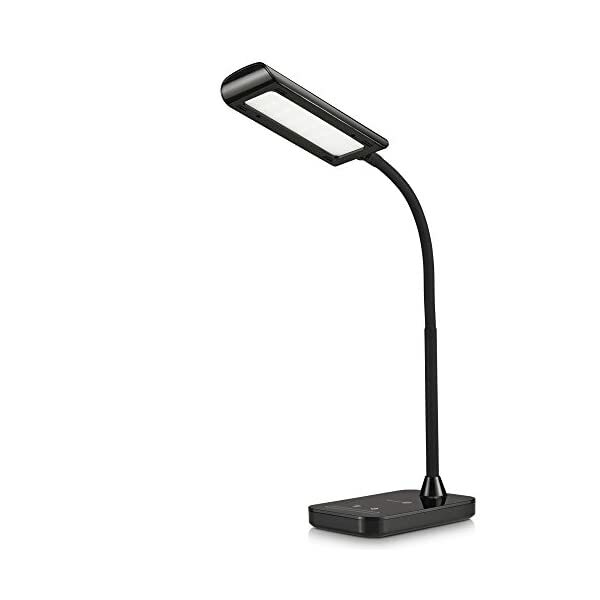 3 LEVELS BRIGHTNESS DIMMABLE: The reading light designed with 3 levels of Brightness.Slide on the touch control to adjust suitable bright for book reading, studying or working. 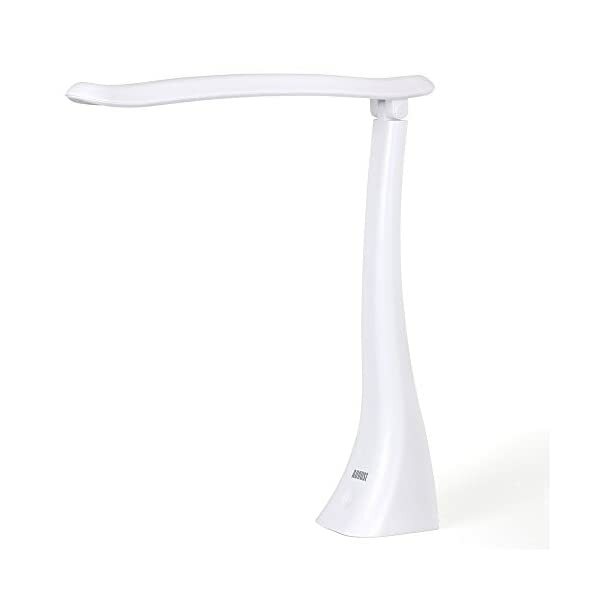 360 DEGREES FULLY ADJUSTABLE: Design with adjustable twisted tube with elegant white color, Seamlessly bend the lamp arm to always get the best illumination angle. EXTRAORDINARY BATTERY LIFE: Built-in high-capacity and long-life 1200mAh rechargeable lithium battery, USB rechargeable, charge it via USB Charging Cable.energy saving and convenient. 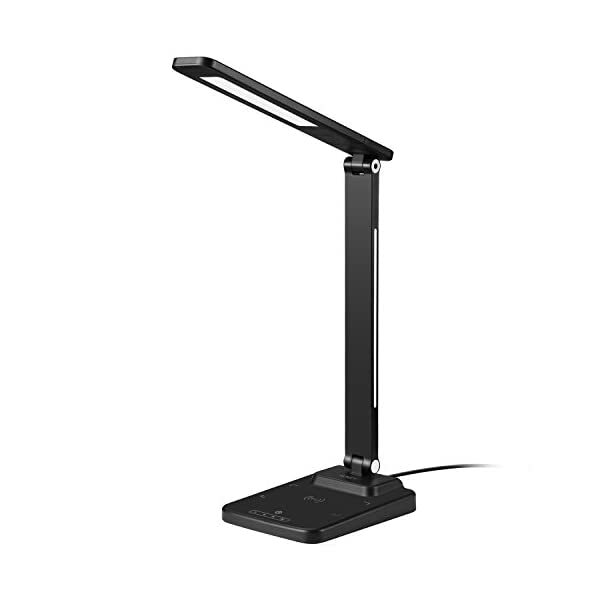 SWITCH ON THE CORD: Simple press power button to turn on the light, 3 Color Temperatures to choose: warm light, natural light and white light. Adjust the brightness stepless from brightest to dimmest, or dimmest to brightest by 2 buttons on the switch. Perfect for reading and working. 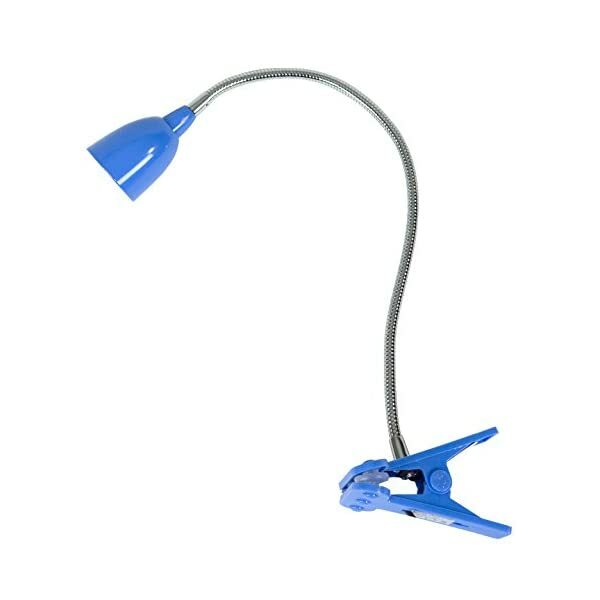 FLEXIBLE GOOSENECK: With 15.74 inch flexible arm which is made by metal tube. 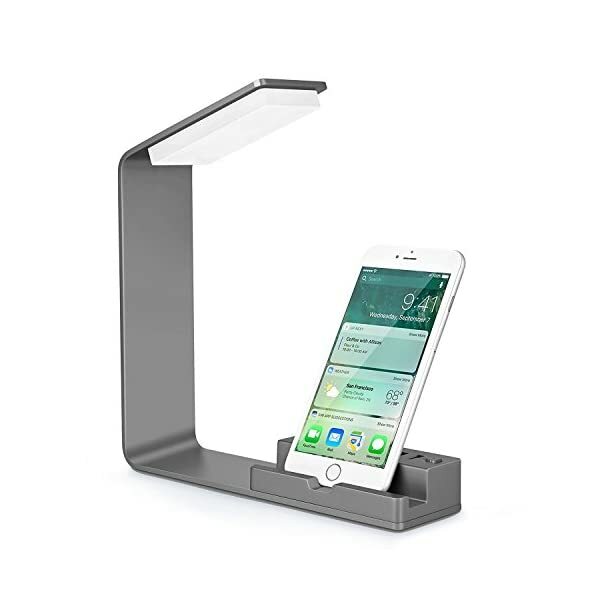 Easy to twist and set the perfect lighting direction and viewing for your need. USB & ADAPTER PORTABLE: USB port for use with any computer or power bank, 59 inch USB cable, easy to carry. 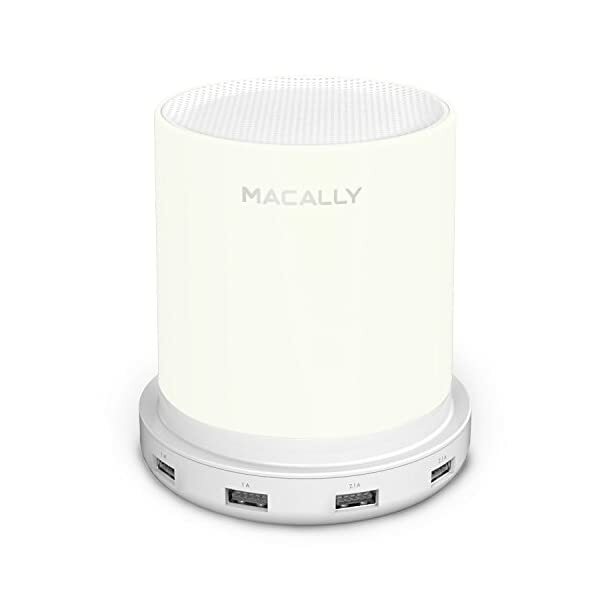 Come with an AC adapter, plug anywhere you want. Qi Wireless Charging: Starts the moment you place down a Qi-enabled device or device equipped with a Qi-compatible cover. No cables or USB interface required. 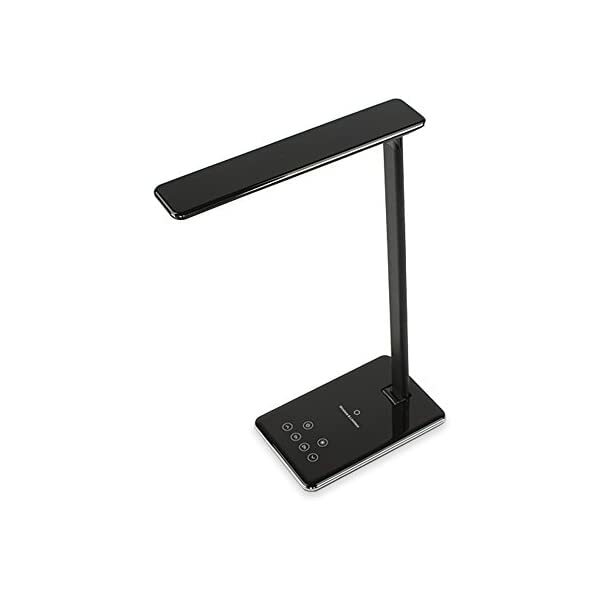 Touch Sensitive Light: 5 adjustable brightness Levels, both warm and cold light. 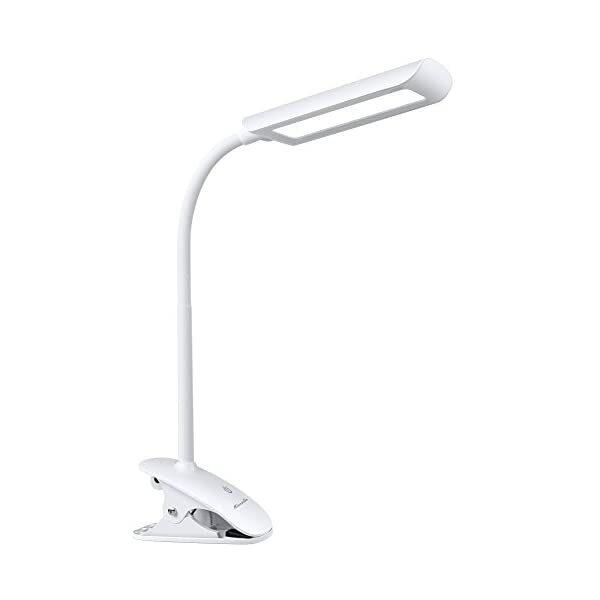 Creative Design: Flexible 180° Verticle light Rotation, 180° Horizontal light Rotation. 5 Lighting Modes and 7 Brightness Levels: Choose between 5 color modes and 7 levels of brightness for a total of 35 possible combos to best suits your activities. Energy-Efficient LED Technology: Achieve the same level of illumination while saving up to 75 precent of energy compared to the traditional incandescent light bulbs.